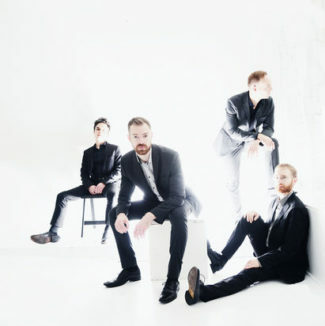 Engaged in multiple arenas of contemporary music, Worthington’s other activities span concert production, electronic music, and recording engineering. 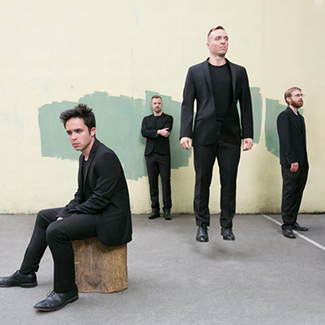 In 2014 he co-founded wasteLAnd, a concert series praised by the LA Times as “our musical pioneers,” serving as executive director through its first five seasons. 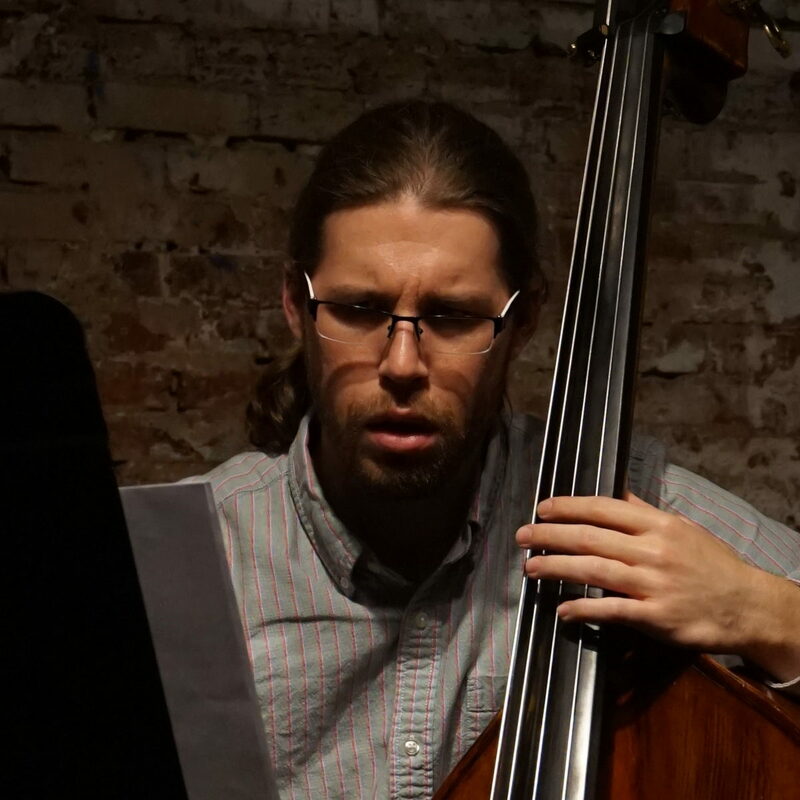 As an electronic musician, Worthington has performed and coded performance materials for music by composers ranging from Lucier to Stockhausen. In addition to his own albums, he has engineered and produced recordings for Populist Records, Orenda Records, Innova Recordings, and a forthcoming release on Bridge Records. Praised for his versatility, technical clarity, and keen musical insight, Tito Muñoz is internationally recognized as one of the most gifted conductors on the podium today. Now in his fourth season as Music Director of the Phoenix Symphony, Mr. Muñoz previously served as Music Director of the Opéra National de Lorraine and the Orchestre symphonique et lyrique de Nancy in France. 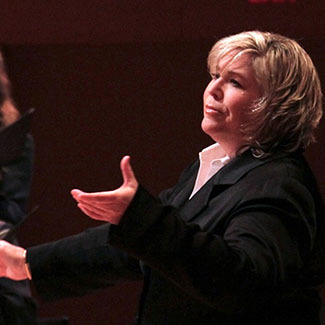 Prior appointments include Assistant Conductor positions with the Cleveland Orchestra, Cincinnati Symphony Orchestra, Cincinnati Chamber Orchestra and the Aspen Music Festival. Radio Philharmonie Saarbrücken, Orchestre Philharmonique de Marseille, Sao Paolo State Symphony, Lausanne Chamber Orchestra, Danish National Chamber Orchestra, Luxembourg Philharmonic, Orchestre National de Lorraine, Opéra de Rennes, Auckland Philharmonia, and Sydney Symphony. As a proponent of new music, Mr. Muñoz champions the composers of our time through expanded programming, commissions, premieres, and recordings. 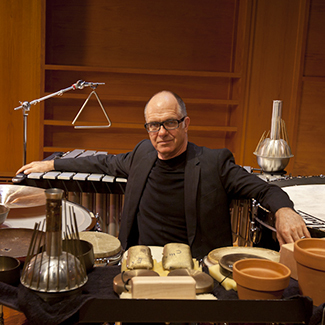 He has conducted important premieres of works by Christopher Cerrone, Kenneth Fuchs, Dai Fujikura, Michael Hersch, Adam Schoenberg, and Mauricio Sotelo. During his tenure as Music Director of the Opéra National de Lorraine, Mr. Muñoz led the critically-acclaimed staged premiere of Gerald Barry’s opera The Importance of Being Earnest. 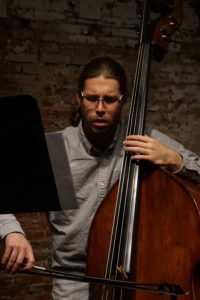 A frequent advocate of the music of Michael Hersch, Mr. Muñoz led the world premiere of Hersch’s monodrama On the Threshold of Winter at the Brooklyn Academy of Music in 2014, followed by the premiere of his Violin Concerto with Patricia Kopatchinskaja and the Saint Paul Chamber Orchestra in 2015. Mr. Muñoz recently led the International Contemporary Ensemble and Kopatchinskaja in a recording of Hersch’s Violin Concerto, and, in June 2018, he will again collaborate with Kopatchinskaja and the Mahler Chamber Orchestra, performing the music of Michael Hersch at the Ojai and Aldeburgh Festivals. 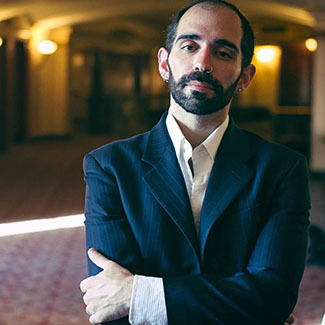 Mr. Muñoz’s relationship with the Cleveland Orchestra since his tenure as Assistant Conductor has been consistently critically-acclaimed, most notably in 2012 when he was engaged to replace the late Pierre Boulez for subscription performances. Mr. Muñoz led joint performances with the Joffrey Ballet and the Cleveland Orchestra in the summer of 2009, marking the first collaboration between these two organizations in three decades. This successful partnership led to further performances in the summer of 2010 as well as an invitation to tour with the Joffrey Ballet in the 2010-11 season. In the 2012-13 season, he conducted the Cleveland Orchestra’s first complete performances of Tchaikovsky’s The Nutcracker, a program he repeated in 2014-15, and, in summer 2013, led the orchestra’s first staged performances of Stravinsky’s The Rite of Spring in the reconstructed original choreography of Vaslav Nijinsky, both with the Joffrey Ballet. A passionate educator, Mr. Muñoz regularly visits North America’s top conservatories/universities, summer music festivals, and youth orchestras. He has led performances at the Aspen Music Festival, Boston University Tanglewood Institute, Cleveland Institute of Music, Indiana University, Kent/Blossom Music Festival, Music Academy of the West, New England Conservatory, New World Symphony, Oberlin Conservatory, Royal Conservatory of Music in Toronto, University of Texas at Austin, and National Repertory Orchestra, as well as a nine-city tour with the St. Olaf College Orchestra. He maintains a close relationship with the Kinhaven Music School, which he attended as a young musician, and now guest conducts there annually. Mr. Muñoz also enjoys a regular partnership with Arizona State University where he has held a faculty position and is a frequent guest teacher and conductor. Born in Queens, New York, Mr. Muñoz began his musical training as a violinist in New York City public schools. He attended the LaGuardia High School of the Performing Arts, the Juilliard School’s Music Advancement Program, and the Manhattan School of Music Pre-College Division. He furthered his training at Queens College (CUNY) as a violin student of Daniel Phillips. Mr. Muñoz received conducting training at the American Academy of Conducting at Aspen where he studied with David Zinman and Murry Sidlin. 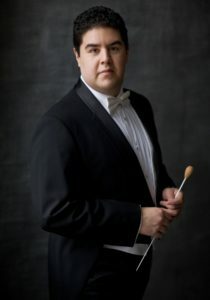 He is the winner of the Aspen Music Festival’s 2005 Robert J. Harth Conductor Prize and the 2006 Aspen Conducting Prize, returning to Aspen as the festival’s Assistant Conductor in the summer of 2007, and later as a guest conductor. 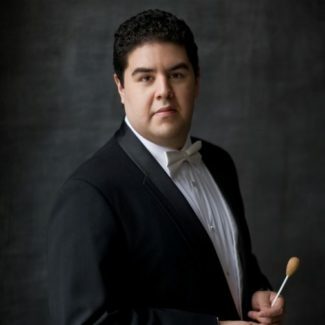 Mr. Muñoz made his professional conducting debut in 2006 with the National Symphony Orchestra at the Kennedy Center, invited by Leonard Slatkin as a participant of the National Conducting Institute. That same year, he made his Cleveland Orchestra debut at the Blossom Music Festival. He was awarded the 2009 Mendelssohn Scholarship sponsored by Kurt Masur and the Felix Mendelssohn-Bartholdy Foundation in Leipzig, and was a prizewinner in the 2010 Sir Georg Solti International Conducting Competition in Frankfurt. Hailed by The Washington Post as a “jaw-dropping pianist who [steals] the show…with effortless finesse”, Amy Yang is a seasoned soloist, chamber musician, and pedagogue. Recent engagements include collaborations with Dover Quartet and Jasper String Quartet, Patricia Kopatchinskaya and the Saint Paul Chamber Orchestra, soloing with Orquesta Juvenil Universitaria Eduardo Mata at UNAM, National Youth Orchestra of USA, Tuscaloosa Symphony, Penn Symphony Orchestra, participating in the Mitsuko Uchida Workshop at Carnegie Hall, and returning to Weill Recital Hall, Phillips Collection, Schneider Concert Series, and Philadelphia Chamber Music Society. Upcoming engagements include recitals with Roberto Díaz and Berlin-based Amelia Piano Trio, of which she is the pianist, at Piano Salon Christofori and Chapelle Musicale Reine Elisabeth, and performances at Ojai, Berkeley and Aldeburgh Festivals with Patricia Kopatchinskaya, Anthony Romaniuk, members of Mahler Chamber Orchestra, and participating in a world premiere by composer Michael Hersch. Founder of the Schumann Project, she will lecture on Schumann’s late piano works, presented by Philadelphia Music Teachers’ Association in 2018. 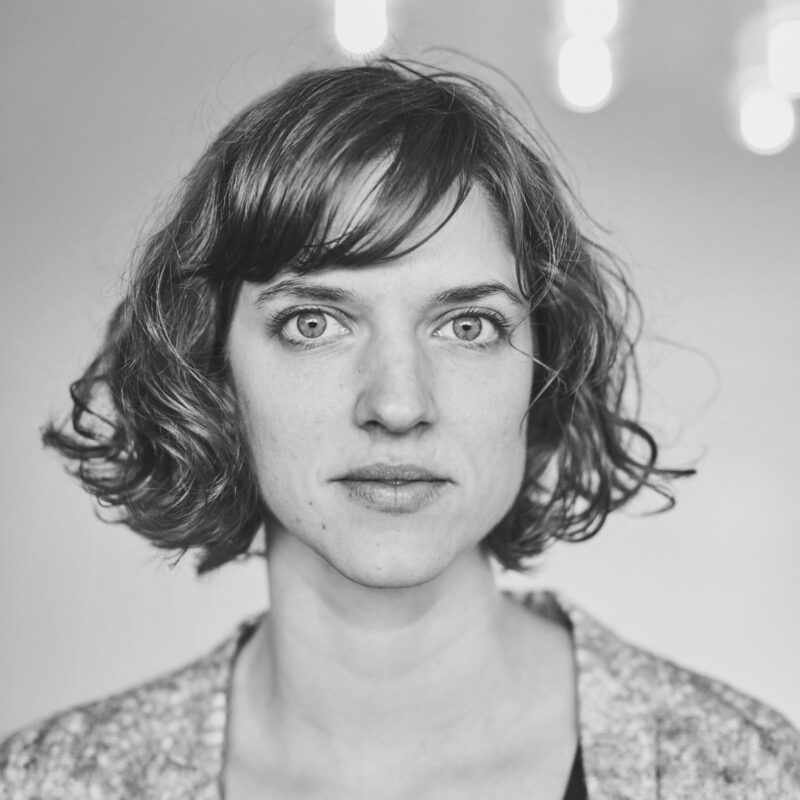 A debut solo CD of Bach, Caroline Shaw, and Schumann; and three CDs with Tessa Lark, Itamar Zorman (BIS Records), and solo works by Ezra Laderman (Albany Records), respectively, are expected for 2018 release. She serves as Chamber Music Mentor at Curtis Institute of Music and Chamber Music Coach at The University of Pennsylvania. At Curtis Summerfest, she is the Program Director and faculty for its Young Artist Summer Program and faculty for the Chamber Music and Orchestra for Adults program. Internationally recognized as one of the leading saxophone virtuosi of our time, GARY LOUIE possesses a lively interpretive imagination coupled with a refreshingly understated artistry and a warm, supple tone, qualities that have earned him consistent praise from audiences and critics alike. Gary Louie’s career has long been distinguished by his successful efforts to break boundaries and integrate the saxophone and its repertoire into the mainstream of classical music life. Gary Louie has been presented by prestigious institutions from coast to coast: New York City’s Lincoln Center for the Performing Arts’ Alice Tully Hall and The Frick Collection; California’s La Jolla Chamber Music Society; Boston’s Jordan Hall; The University of Massachusetts at Amherst, The Philadelphia Museum of Art; The Cleveland Museum of Art; The Phillips Collection and the Kennedy Center in Washington, DC. 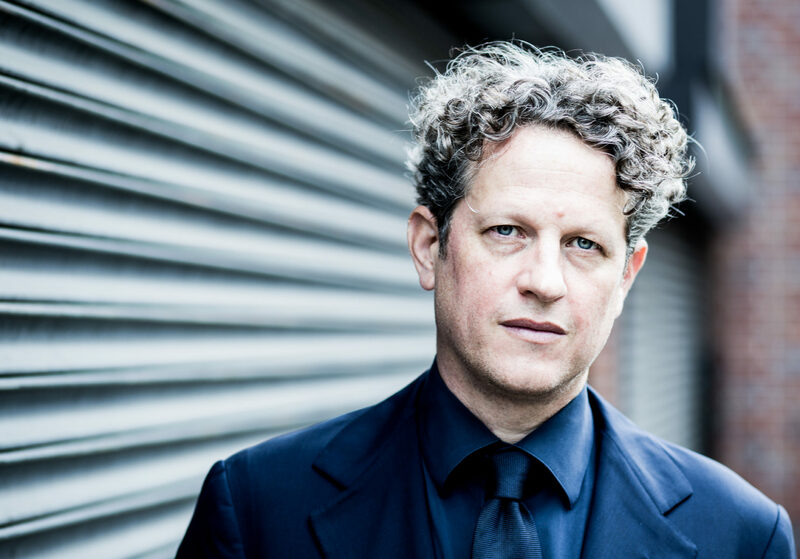 International performances have been given in Paris at L’Opera Comique, in Rome at the Villa Medici, in Hong Kong, throughout Spain and with Vladimir Lande and the St. Petersburg Symphony and Germany’s Philharmonisches Orchester Augsburg, under the baton of Peter Leonard. 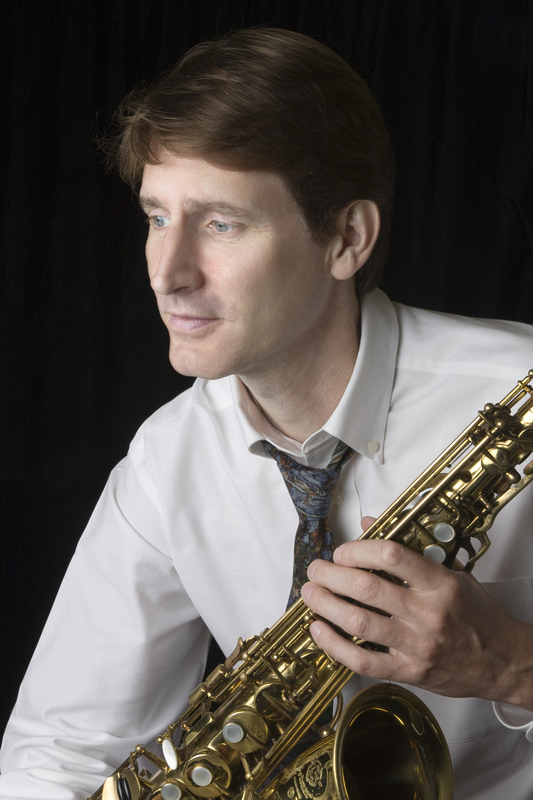 Gary Louie began serious studies on the saxophone with George Etheridge in Washington, DC, and went on to study at the University of Michigan with the legendary saxophonist/teacher, Donald Sinta. He currently serves as Professor of Saxophone at the Peabody Institute of the Johns Hopkins University. He lives in Severna Park, Maryland with his wife, pianist Kirsten Taylor, where in their spare time they enjoy sailing and hiking with their sons, Warren and James. 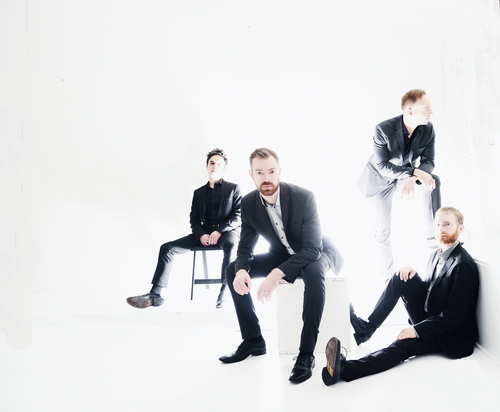 Philipp von Steinaecker’s musical interests are very broad and multi-faceted. He feels equally at home in the German romantic repertoire and in the music of the Second Viennese School. He is passionate about baroque and classical music. His profound stylistic understanding for both kinds of music led him to found his own period instrument orchestra: Musica Saeculorum. As a conductor, he recently jumped in to conduct the Swedish Radio Orchestra and Choir in Haydn’s The Seasons as well as with the Slovenian Philharmonic in Ljubljana. In both cases he was immediately re-invited for concerts the following season. Von Steinaecker is a founding member of the Mahler Chamber Orchestra, and has played principal cello with the English Baroque Soloists and the Orchestre Révolutionaire et Romantique. As a student he regularly substituted in the Vienna Philharmonic Orchestra and the Vienna State Opera. 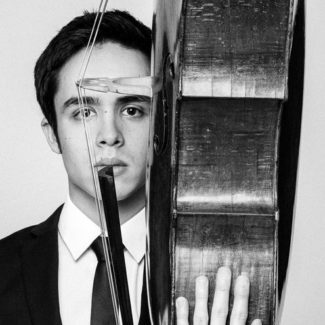 He grew up in Hamburg and studied with Harvey Shapiro at The Juilliard School in New York and with Christophe Coin at the CNSM in Paris. 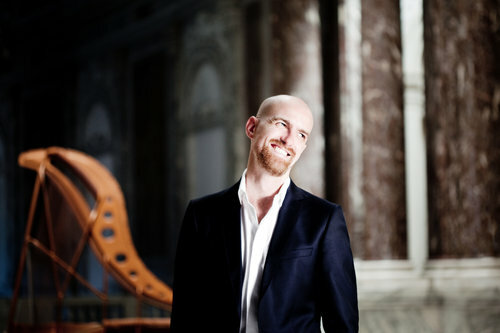 While already a member of the MCO, Philipp studied conducting with Mark Stringer at the Vienna University for Music. He won the Melgaard-OAE Young Conductor’s Audition, and after a year with the OAE he became the assistant of Sir John Eliot Gardiner and later of Claudio Abbado. The latter asked him on several occasions to be his replacement and to share the stage with him at the helm of his Orchestra Mozart. He has since conducted an ever-growing number of orchestras, such as the Swedish Radio Orchestra, Orchestra Mozart (Bologna), the Slovenian Philharmonic Orchestra, Fondazione Toscanini di Parma, Orchestra del Teatro Comunale di Bologna, the New Japan Philharmonic, Camerata Salzburg, Orchestra della Toscana, Orchestra Haydn di Bolzano and the Orchestra da Camera di Mantova, whichhas led to many regular collaborations. Philipp also conducted a critically acclaimed production of Gounod’s La Colombe at the Chigiana in Siena. His future engagements will include playing with the Swedish Radio Orchestra, the Prague Philharmonia, the New Japan Philharmonic, Residentie Orkest in den Haag, Orchestra dell’Arena di Verona, the Slovenian Philharmonic. 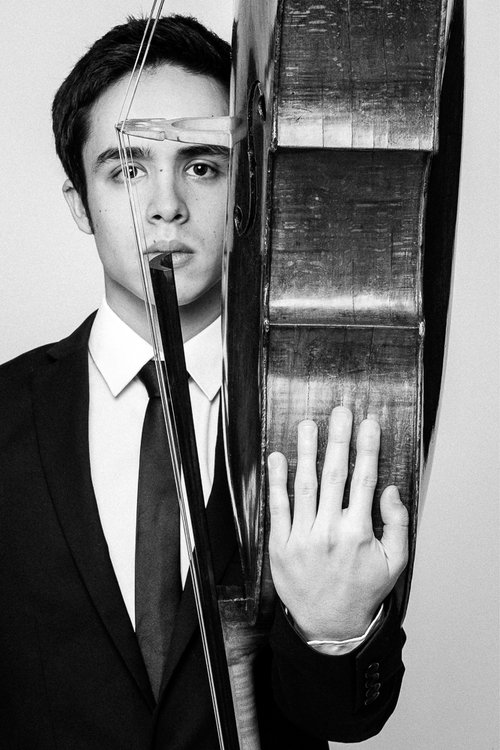 He will also appear with Musica Saeculorum at the Aix-en-Provence Easter Festival, the Philharmonie Essen, Philharmonie Cologne, and record with Camilla Tilling for BIS. His recordings of Handel’s Messiah, Haydn’s Creation, Bruckner’s Symphony N.1 and Mahler’s Lied von der Erde are available on iTunes. 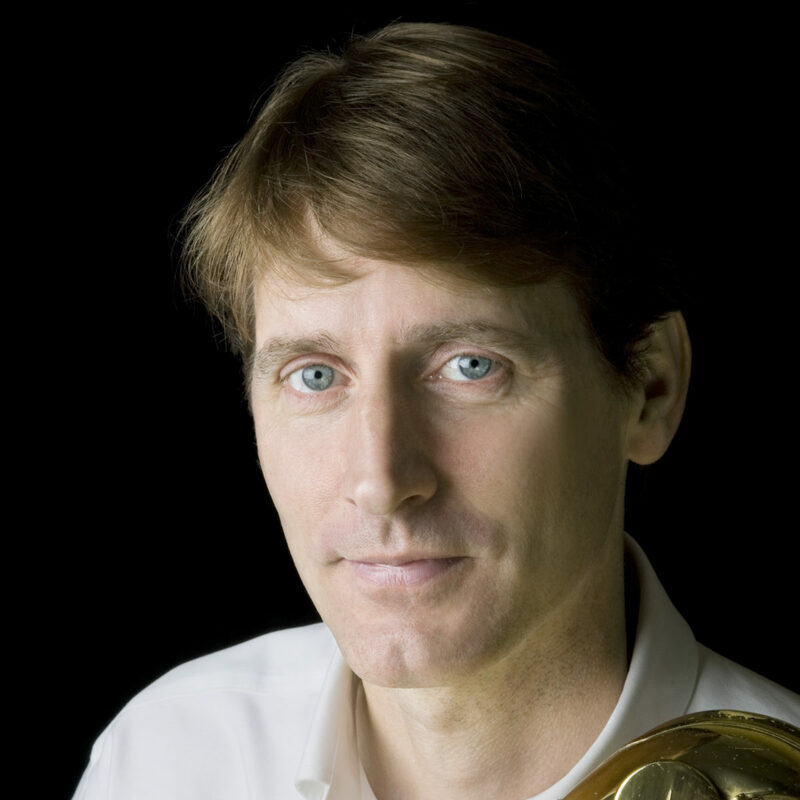 Philipp is also artistic director of the Gustav Mahler Academy in Bolzano. 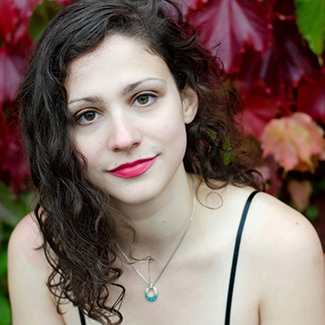 Recipient of a 2016 Lincoln Center Emerging Artist Award, American soprano Kiera Duffy is recognized for her gleaming high soprano and insightful musicianship in a diverse repertoire ranging from Bach, Handel, and Mozart to the modern sounds of Carter, Feldman, and Mazzoli. A prolific concert artist, Duffy has appeared with the New York Philharmonic, Chicago Symphony, Berlin Philharmoinc (this season), London Symphony, Los Angeles Philharmonic, San Francisco Symphony, New World Symphony, Mitteldeutscher Rundfunk Orchester, Atlanta Symphony, National Symphony, Boston Baroque, Apollo’s Fire, Simon Bolivar Orchestra and Detroit Symphony. She has collaborated with many of the celebrated conductors of the 20th and 21st centuries, including Herbert Blomstedt, Pierre Boulez, Gustavo Dudamel, Alan Gilbert, Loren Maazel, Michael Tilson Thomas, Kristjan Järvi, James Levine, Seiji Ozawa, Donald Runnicles, Leonard Slatkin, and Robert Spano. 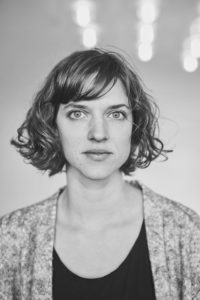 In the fall of 2016, she premiered the role of Bess McNeill in Missy Mazzoli’s new opera Breaking the Waves with Opera Philadelphia and the Prototype Festival in New York City. Her performance garnered widespread critical acclaim from such publications as the New York Times, Opera News, Wall Street Journal, and the Philadelphia Inquirer. WQXR in New York City declared hers the Top Female Operatic Performance of 2016.
tage with Seiji Ozawa’s Ungaku Juku Festival in Japan, Opera Philadelphia, Spoleto Festival USA, Prototype NYC, Mostly Mozart at Lincoln Center, RB Schlachter Presents, Opera Theatre of St. Louis, Central City Opera, and Wexford Opera. At the Tanglewood Music Festival she performed Elliot Carter’s only opera, What Next?, Così fan tutte, and Don Carlo. As a chamber musician Duffy has been featured at the Chamber Music Society of Lincoln Center, Marlboro Music Festival, Bard SummerScape Festival, Tanglewood Music Festival, Charlottesville Chamber Music Festival and the Collaborative Arts Institute of Chicago. She has sung recitals at London’s Wigmore Hall, New York City’s Rockefeller University, and at St. Louis’ Washington University. Soprano Ah Young Hong has interpreted a vast array of repertoire, ranging from the music of Bach and Monteverdi to the songs of Poulenc and Shostakovich to the works of some of the 21st century’s most prominent composers. 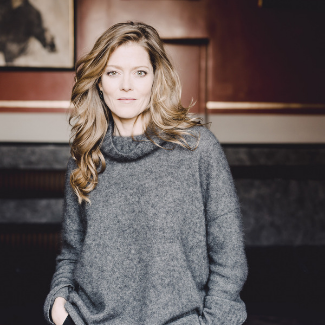 ​Best known for her work in Michael Hersch’s monodrama, On the Threshold of Winter, The New York Times praised her as “the opera’s blazing, lone star”. 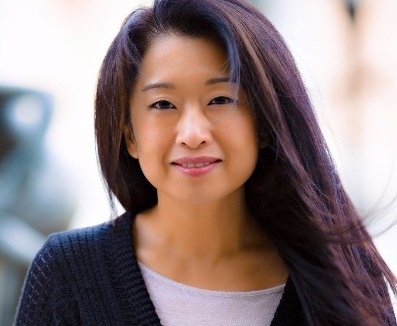 Other operatic performances by Ms. Hong include the title role in Monteverdi’s L’incoronazione di Poppea, Morgana in Handel’s Alcina, Gilda in Verdi’s Rigoletto, Fortuna and Minerva in Monteverdi’s Il ritorno d’Ulisse in patria, and Asteria in Handel’s Tamerlano. She has also appeared with Opera Lafayette in Rebel and Francoeur’s Zélindor, roi des Sylphes at the Rose Theater in Lincoln Center and as La Musique in Charpentier’s Les Arts Florissants at the Kennedy Center. As Poppea, Ms. Hong was deemed “a triumph” whose “tonal gleam filled the hall beautifully” (The Baltimore Sun). 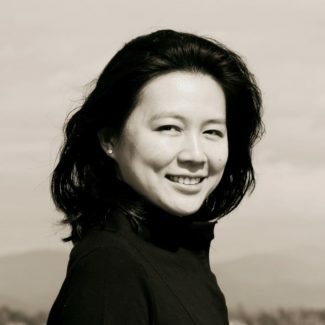 In high demand as a concert and chamber soloist, Ms. Hong has performed with Konzerthaus Berlin’s ensemble in residence, Ensemble unitedberlin, Netherland’s contemporary music ensemble, Ensemble Klang, Daedalus Quartet, The Phoenix Symphony, Charleston Symphony Orchestra, Baltimore Symphony Orchestra, Mendelssohn Club of Philadelphia, Wiener KammerOrchester, Concert Artists of Baltimore, and Tempesta di Mare, amongst others. In 2017-2018, she will perform with pianist Mark Wait, violinist Carolyn Huebl, and cellist Felix Wang (Nashville); Ensemble Dal Niente (Chicago); Utah Opera (Salt Lake City); and ending the season at the Ojai Festival with violinist Patricia Kopatchinskaja (Ojai, Berkeley, Aldeburgh-UK). ​Ms. Hong recorded the American premiere of Johann Sebastian Bach’s Alles mit Gott und nichts ohn’ ihn, BWV 1127, for National Public Radio’s Performance Today. Other recordings include the world premiere of Rebel and Francoeur’s Zélindor, roi des Sylphes (Naxos), Pergolesi’s Stabat Mater (Peter Lee Music), and Sentirete una Canzonetta with Harmonious Blacksmith. Fall 2017, James Matthew Daniel’s production of Hersch’s On the Threshold of Winter will have its official film release. 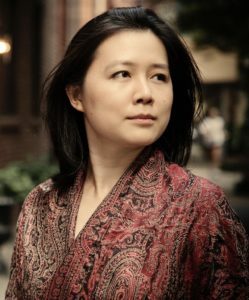 Ms. Hong will also be a featured soloist in Ensemble Klang’s recording of Michael Hersch’s Black Untitled and cortex and ankle. Winter of 2018, Ms. Hong will debut her first CD through Innova Recordings. The CD will feature Milton Babbitt’s Philomel and Michael Hersch’s a breath upwards. ​Ms. 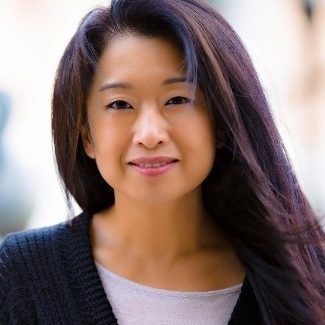 Hong currently serves as faculty on the voice department at the Peabody Conservatory of The Johns Hopkins University. 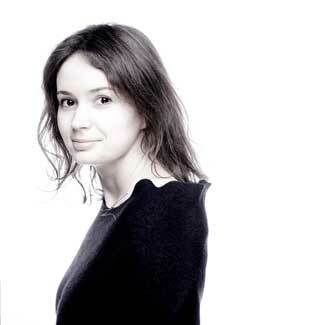 Violinist Patricia Kopatchinskaja’s versatility shows itself in her diverse repertoire, ranging from baroque and classical often played on gut strings, to new commissions and re-interpretations of modern masterworks. Her first visit to Ojai was in April 2016 as a guest on the Festival’s off-season “Open Ears” series. Kopatchinskaja’s 2017-18 season commenced with the world premiere of her new project Dies Irae at the Lucerne Festival in the summer, where she was ‘artiste étoile’. 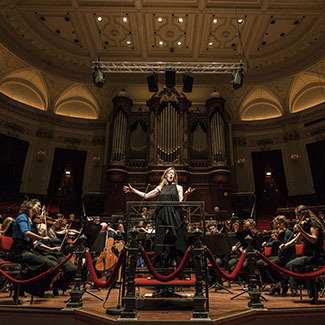 Dies Irae is her second staged program following the success of Bye Bye Beethoven with the Mahler Chamber Orchestra in 2016 and uses the theme from the Latin Requiem Mass as a starting point for her new concept featuring music from Gregorian Chant and Early Baroque to Giacinto Scelsi and Galina Ustvolskaya. 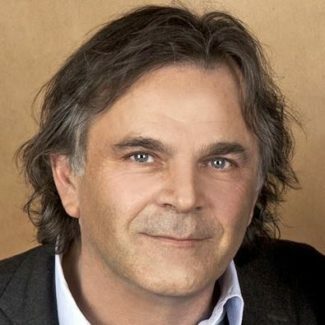 Markus Hinterhäuser was born in La Spezia (Italy). He studied piano at the Vienna University of Music and at the Mozarteum University Salzburg and attended master classes with Elisabeth Leonskaja and Oleg Maisenberg, among others. 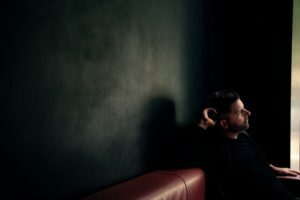 As a pianist, Markus Hinterhäuser has performed as a soloist and chamber musician at the world’s major concert halls and internationally renowned festivals, e.g. Carnegie Hall, Vienna’s Musikverein and Konzerthaus and La Scala Milan. He has appeared at the Salzburg Festival, the Lucerne Festival, Wien Modern, the Festival d’Automne, the Holland Festival, the Berliner Festspiele and elsewhere. In the field of lieder interpretation, his long-standing collaboration with Brigitte Fassbaender is particularly noteworthy. Markus Hinterhäuser and baritone Matthias Goerne perform the lieder cycle Winterreise by Franz Schubert in a worldwide tour. This startling production, conceived in cooperation with the South African artist William Kentridge, has been shown in Vienna, in Moscow (International House of Music), at the Sydney Festival, the San Francisco Opera, at the Cité de la Musique in Paris and many other renowned venues and was brought to South Korea in December 2016. 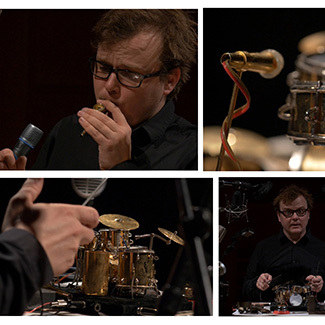 In recent years Markus Hinterhäuser has focused on the interpretation of contemporary music, in particular of works by Luigi Nono, Karlheinz Stockhausen, Morton Feldman and György Ligeti. Alongside numerous recordings for radio and TV, he has also recorded the complete œuvre for piano by Arnold Schoenberg, Alban Berg and Anton von Webern, as well as compositions by Morton Feldman, Luigi Nono, Giacinto Scelsi, Galina Ustvolskaya and John Cage on CD. Markus Hinterhäuser has repeatedly participated in music drama productions staged by Christoph Marthaler, Johan Simons and Klaus Michael Grüber, including the Wiener Festwochen productions of Schutz vor der Zukunft (Christoph Marthaler, 2005; revived in 2006; numerous international guest performances) and Janáček’s Diary of One Who Disappeared (Klaus Michael Grüber, 2005). 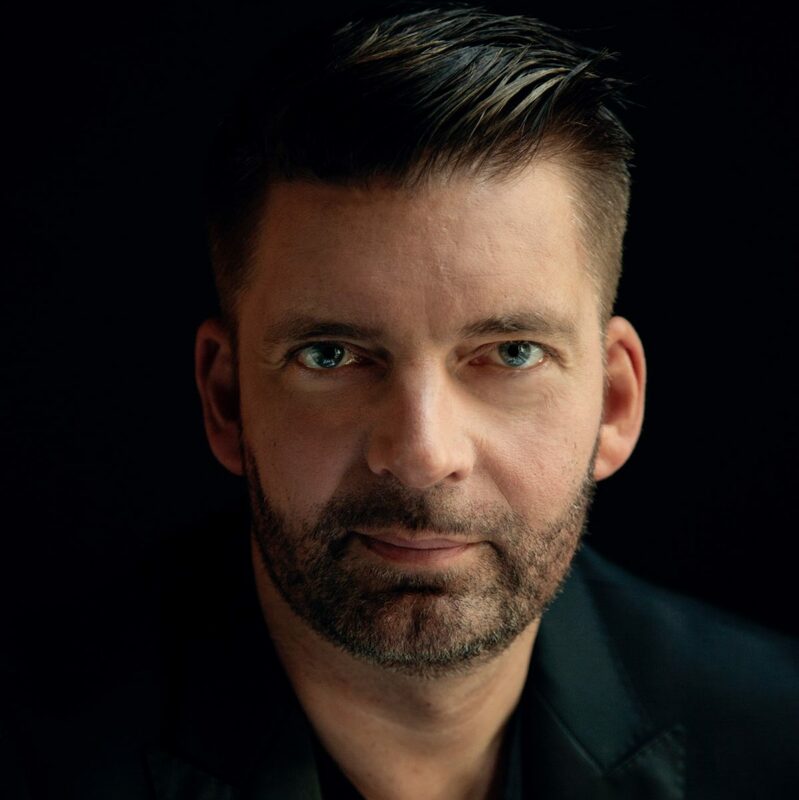 As a cultural manager, Markus Hinterhäuser has won international acclaim as the co-founder and artistic director (together with Tomas Zierhofer-Kin) of the Zeitfluss series presented from 1993 to 2001 in the context of the Salzburg Festival. At the Wiener Festwochen, Markus Hinterhäuser and Tomas Zierhofer-Kin co-founded and co-directed the Zeit-Zone series, which was part of the Festwochen programme from 2002 to 2004. 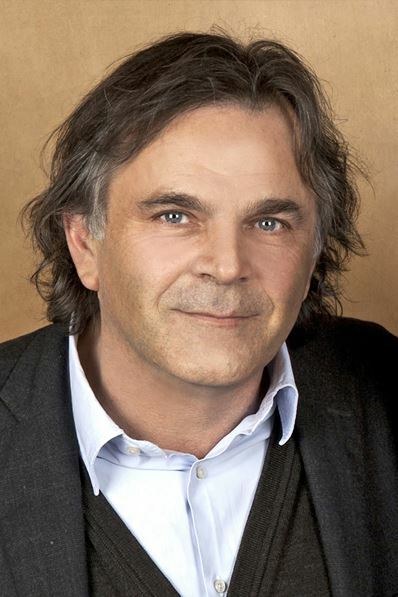 From 2006 to 2010, Markus Hinterhäuser was responsible for the concert programme of the Salzburg Festival, followed by his tenure as Artistic Director of the Salzburg Festival for the 2011 season. He was Artistic Director of the Wiener Festwochen from 2014 to 2016, bringing the most influential conductors and stage directors to this major festival. 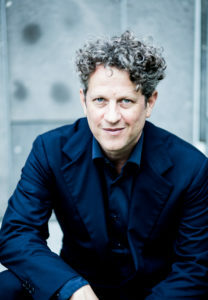 Since October 2016 Markus Hinterhäuser has been the Artistic Director of the Salzburg Festival. 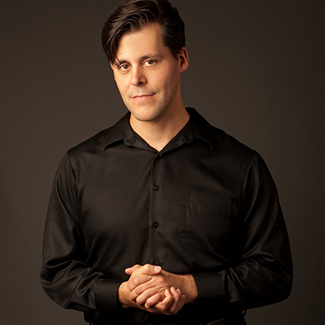 Pianist/harpsichordist Anthony Romaniuk is engaged in a diverse musical environment incorporating solo recitals, concertos, chamber music, baroque basso continuo and improvised performances. His repertoire spans several centuries; from Byrd, Bach, Beethoven, Chopin and Brahms – often on historical instruments – to Crumb, Ligeti and 21st-century industrial noise music. Frequent collaborators include Patricia Kopatchinskaja, Pieter Wispelwey, Vox Luminis and the Australian Chamber Orchestra. 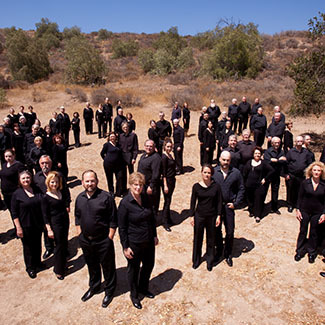 Highlights of the 2017/18 season include solo and chamber performances at the festivals of Lucerne, Adelaide and Ojai (California) in addition to a tour of the U.S.A and Canada with Vox Luminis; appearances with the Orchestra della Toscana; and further development of his collaboration with DJ/composer Jorge Sanchez-Chiong. Solo recordings planned for summer 2018 include an all-Beethoven programme c.1801 on a replica of an 1801 piano, as well as a project featuring repertoire spanning several centuries linked with improvisations on modern piano. His work on Patricia Kopatchinskaja’s 2015 duet-disc “Take Two” was widely acclaimed, particularly his improvisations on Bach’s chaconne. 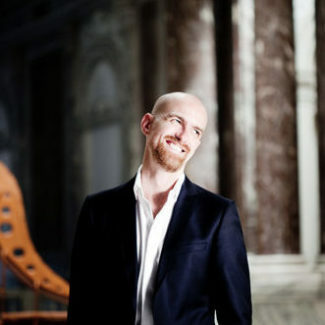 During the 2016/17 season he was heard with Kopatchinskaja on the stages of (among others) Wigmore Hall, the Konzerthaus in Berlin, Zentrum Paul Klee in Bern and De Bijloke in Ghent; with Vox Luminis at the Berkeley Early Music and Aldeburgh Festivals, and with the Australian Chamber Orchestra at the Sydney Opera House.